We’re thrilled to announce that, starting today, we have a public Influx Community Slack workspace to continue our commitment to building both great open source projects and a strong community. With the new Slack workspace comes yet another opportunity for our community members to become more engaged in what’s happening at InfluxData and to stay informed of ways that they can participate in projects and initiatives. We will continue to host our Community Forums, our Subreddit, and social media profiles; our Slack is not intended to do away with any of our community initiatives but to enhance what’s already happening. We’ve been working for a few weeks on the logistics of opening up the Slack workspace to the community to ensure that we’re creating a productive space. We’ve got channels set up for all of our open source projects like #influxdb, #telegraf, and #flux, #v2, #meetups, and #community-support. 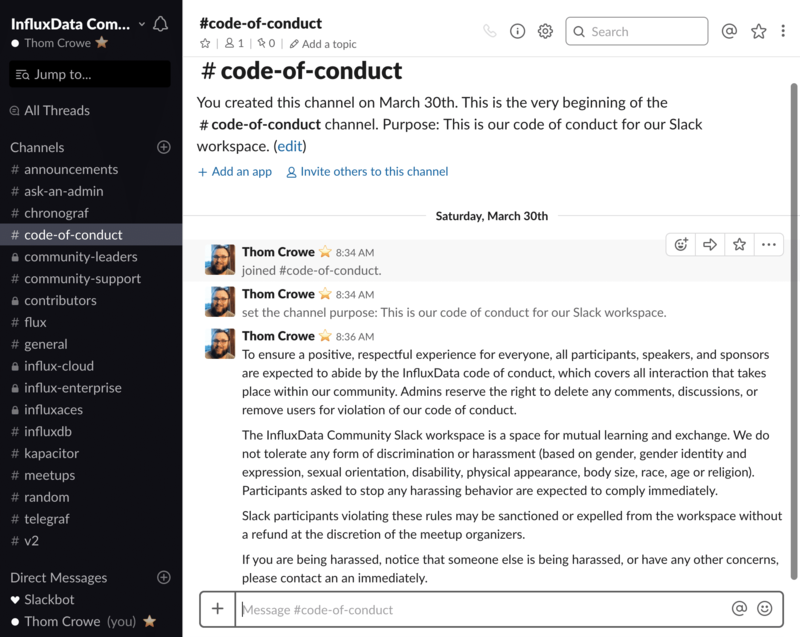 Please just take a moment to check out the #code-of-conduct channel; we have an amazing community that is open and welcoming of everyone, but it’s a good refresher to understand what we’re building here. We’ve got a public invite that you can fill out to join here, or you can email us at [email protected] for an invite, to ask questions, or express any concerns. How do I access the new Slack workspace? 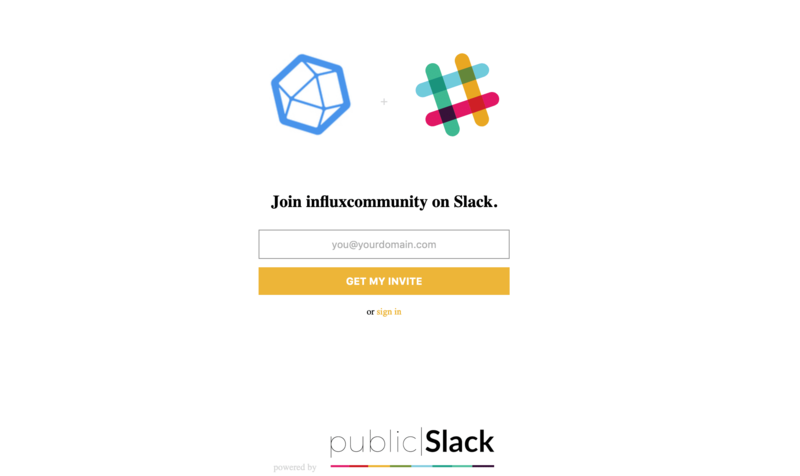 After you’ve requested your invite, you’ll be able to sign in at influxcommunity.slack.com. What if I need a new channel? Don’t see a channel for what you need for a project or location-specific initiative? Just ask in our #ask-an-admin channel and post a request or DM someone with the admin star next to their name. We’re excited about this next chapter in our InfluxData community and look forward to seeing you in our new workspace.